PM rejects claims his pledge to annex Israeli settlements was empty campaign promise, says he spoke with US officials on the issue. Israeli Prime Minister Binyamin Netanyahu spoke out Monday morning regarding his pledge over the weekend to annex Israeli settlements in Judea and Samaria, pushing back on accusations that he has no intention of carrying out the proposal. Netanyahu, who is seeking a fifth term (and fourth consecutive term) as premier in this Tuesday’s general election, is in an effective dead-heat with the center-left Blue and White party of former IDF Chief of Staff Benny Gantz. The final three days of polling give the Blue and White party a slight edge – within the margin of error – over the Likud, with an average of about 29 seats, compared to an average of about 28 seats for the Likud. “In this present situation, there is no way that we will be given the task of forming the government,” adding that the Blue and White party would likely form a narrow left-wing government. On Saturday, just days before the election, Netanyahu announced that he would annex Israeli towns in Judea and Samaria in his next term if he is reelected, a declaration that won him praise from the Israeli Right, while drawing criticism from the Blue and White party and condemnation from the Palestinian Authority. Some, including Netanyahu’s chief election opponent, Benny Gantz, dismissed the pledge as an insincere campaign promise designed to bring in right-wing voters. 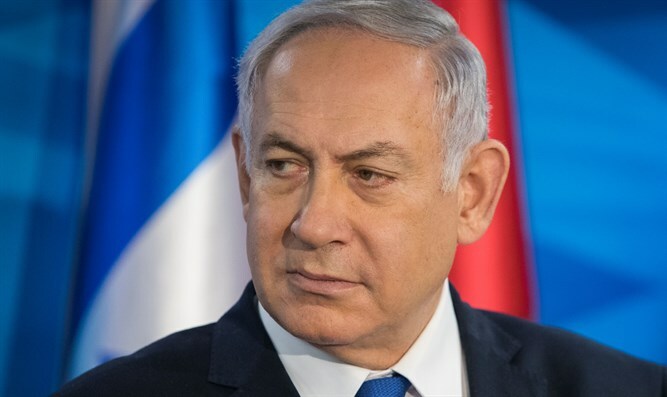 During the interview Monday, however, Netanyahu pushed back, saying that he had already begun laying the groundwork for annexation, and had broached the idea with senior Trump administration officials, and that the process hadn’t been implemented yet because it “takes time”. “Why did it take two years to get recognition of the Golan Heights even with such a friendly president? It takes time,” said Netanyahu. “I had to go through three phases: the first phase was the intense pressure put on me,” Netanyahu continued, referring to the Obama White House’s demands Israel cease all construction in Judea and Samaria.